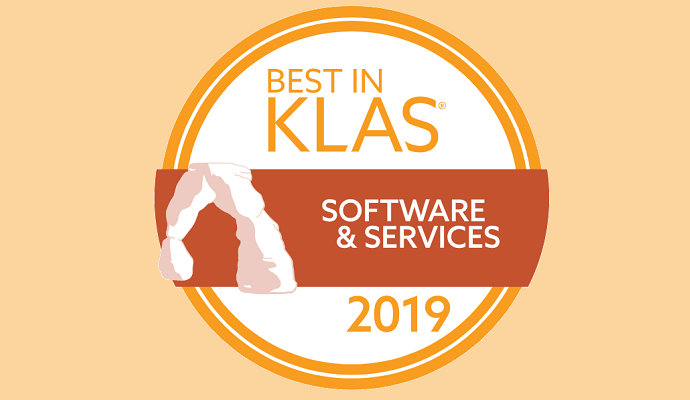 Healthcare organizations browsing this year’s Best in KLAS rankingswill see a number of familiar names among the winners, with Epic Systems sweeping the Overall Product Suite category for the ninth year in a row. The Verona, Wisconsin company was named best acute care and ambulatory EHR, best health information exchange product, best patient portal, and best practice management system for large physician groups, among other accolades. But as the industry moves deeper into the era of data-driven care, the company is working to fend off stiff competition from its peers. In some cases, Epic’s narrow lead is in danger of disappearing as rivals address key pain points in functionality, customer relationships, and usability. Huge gains in satisfaction from vendors such as Greenway Health and NextGen Healthcare portend a potential change in the guard in the ambulatory EHR space, while MEDITECH is slowly but surely creeping up on the top spot for acute care. For customers, this ongoing jockeying for position is an indication of a healthy market driven by innovation and continuous improvement. Vendors are taking this sentiment to heart. Few are resting on their laurels, and are instead contending fiercely with one another to offer better experiences and new functionalities to help consumers meet the increasing challenges of value-based care. Nowhere is this spirit of competition more evident than in the newer segments of the market, such as the population health management and business intelligence categories. HealthEC beat out Enli, Health Catalyst, Arcadia, Lightbeam, and Epic for the population health management title, earning straight A’s across the categories for customer loyalty, satisfaction, and value. “We’re honored to be named Best in KLAS for population health and recognized for the important work we do on behalf of our clients,” said Arthur Kapoor, President and CEO of HealthEC. In the healthcare business intelligence and analytics category, Dimensional Insight pipped Health Catalyst to the post for the winning title, with Tableau, Change Healthcare, and Microsoft rounding out the top five. Dimensional Insight scored highly for its corporate culture, customer relationships, and overall value, achieving a score of 91.7 for its Diver platform. Health Catalyst was not far behind with an overall score of 90.3, representing a 2 percent positive change from 2018. Customers similarly applauded their relationships with the company, but were slightly less enthusiastic about the analytics platform itself. Tableau, Change, and Microsoft, as well as Qlik and SAP, ranked significantly lower on customer satisfaction, pulling in letter grades of B’s and C’s in key metrics such as loyalty, value, and product. Qlik had a particularly rocky year with a -8 percent change from its previous rankings. Still, the field is wide open for newer players to snag top ratings in the years to come. A number of products with limited user data were not included in the main rankings, but scored very highly among their smaller customer pools. Jvion scored 84.5 for its predictive analytics solution, beating out Epic’s Cogito component by more than three points. HBI Solutions Spotlight Data Solutions, a largely regional product, rivaled Dimensional Insight with a 91.5 score, while Kronos Workforce Analytics, a labor and productivity suite, snagged a 90.2 score. As these companies gain larger customer bases, the current leaders in the market will need to continue to up their game to maintain their positions. In terms of health information management and clinical documentation improvement (CDI), areas where natural language processing and artificial intelligence are starting to shine, M*Modal has a slight edge over others. The company, which recent sold its technology business to 3M, scored top marks in the categories for front-end EHR speech recognition and CDI software solution. This is M*Modal’s third year as the leader in speech recognition. “In my 12 years in informatics, the single most helpful tool I have encountered to diminish physician frustration and burnout related to the EHR and improve provider satisfaction is M*Modal Fluency Direct,” said M*Modal customer Peter Lundeen, MD, Hospitalist at Spectrum Health Medical Group and Spectrum Health. Dolbey and Nuance also received commendable scores for EHR speech recognition – Nuance also came third in the CDI category, while ChartWise took second place. In terms of consultants that can help organizations improve their financial, clinical, and technical operations, Impact Advisors is the top overall bet for health IT advice. The company broke a two-year streak by Optimum Healthcare IT. Premier earned the Overall Healthcare Management Consulting Firm, and also won the healthcare management consulting category, topping Chartis Group and PwC, which tied for second place. As a whole, the 2019 rankings show a comfortable mix of stability and new opportunities for vendors to make their mark in a growing field. Customer loyalty to products is generally high, but new players still have the chance to woo market share away from established competitors by investing in innovative analytics tools and sophisticated business intelligence. As the industry continued to purchase and optimize their health IT tools, vendors will need to focus on maintaining strong relationships with their customers across the care continuum.